Talk about an ultimate "comfort food" and now it's one you can eat guilt-free! 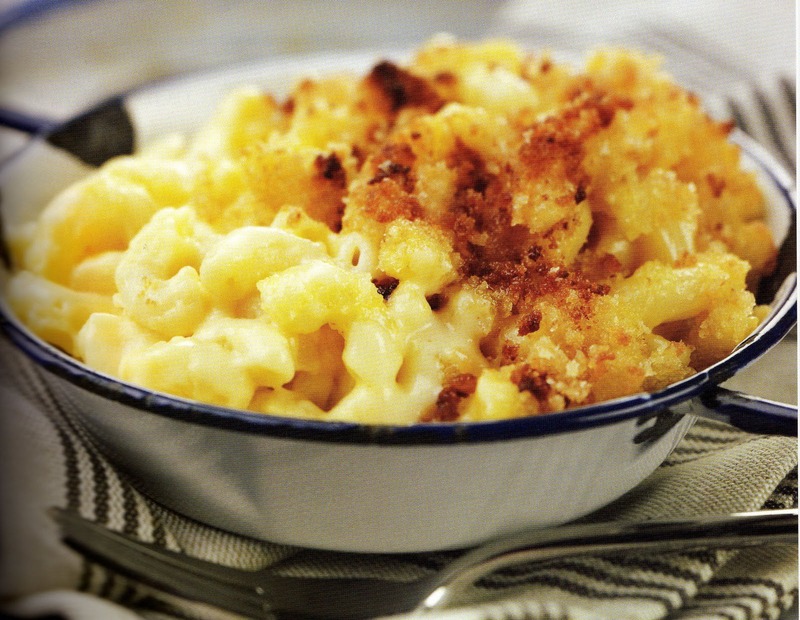 I mean who doesn't LOVE mac 'n' cheese?! But all those carbs are enough to raise one's blood sugar before even one noodle passes the lips. Not to worry - this recipe is only 25g net carbs per serving and contains no butter! 1. Preheat oven to 375ºF. Coat an 8 x 8 inch square baking pan with cooking spray. 2. In a heavy bottomed 2-qt saucepan, combine 2 cups milk, half-and-half, onion, bay leaf, and peppercorns. Bring to a light boil, lower the heat and simmer on medium-low heat for 20 minutes to allow the onion and spices to infuse into the milk. Using a strainer, strain the infused milk from the onion and spices and return the strained milk to the saucepan. 3. While the milk is simmering, bring a pot of salted water to a boil. Add the elbow macaroni and cook for 4-5 minutes. (This is less time than the package directions. You want the macaroni undercooked. This prevents the pasta from becoming too mushy in the casserole.) Drain, add to a large bowl and set aside. 4. In a medium bowl, mix the remaining 3/4 cup of milk with the cornstarch. Whisk until well combined. Add half the milk mixture in the saucepan to the milk cornstarch mixture in the bowl and whisk for 1 minute. Add the milk cornstarch mixture back into the saucepan. Bring the entire milk mixture to a boil on medium-high heat. Lower the heat to medium and cook until thickened, about 5-7 minutes. Mixture will still be on the thin side. Reduce the heat to low and simmer for 4-5 minutes. 5. Remove the pot from the stove. Whisk in the dry mustard, cheeses, salt and pepper. Add the cheese sauce to the pasta and mix well. The mixture should look soupy. 6. Pour the macaroni and cheese mixture into the prepared pan. Combine the fresh breadcrumbs and olive oil in a small bowl and mix well. Sprinkle the top of the macaroni and cheese with the bread topping. Bake for 20-25 minutes until topping is light brown and macaroni and cheese is bubbly. As for Step 4, I may have had the flame up a little too high, but either way the mixture thickened even before 1 minute was up. So needless to say, mine did not look soupy. I was not particularly fond of the breadcrumb topping, even after cutting the amount back. It was just too much. I'd rather save some of the shredded cheese and use it for topping. Also, if you cut out the breadcrumbs, you decrease the carbs even more. And speaking of decreasing carbs, as noted above Dreamfields pasta contains fewer digestible carbs, contains as much fiber as whole wheat pasta, but more importantly has only 5 grams of digestible carbs (lower glycemic index). For those of you who may not be familiar with the glycemic index, the GI (glycemic index) ranks carbs as to low, moderate or high which translates into impact of blood glucose rise after eating. The higher the index, the higher blood glucose rise and this is what you want to avoid. So even if you have two servings (1 cup), your total carbs would only be 50g, and this is before adjusting for the Dreamfields pasta and skipping the breadcrumb topping. And believe me, this Mac 'n' Cheese is filling. If you are making for two, you'll have enough to put in the freezer for another dinner for two.